“After The Calm” wins Best Jazz Album at the 2015 San Diego Music Awards! 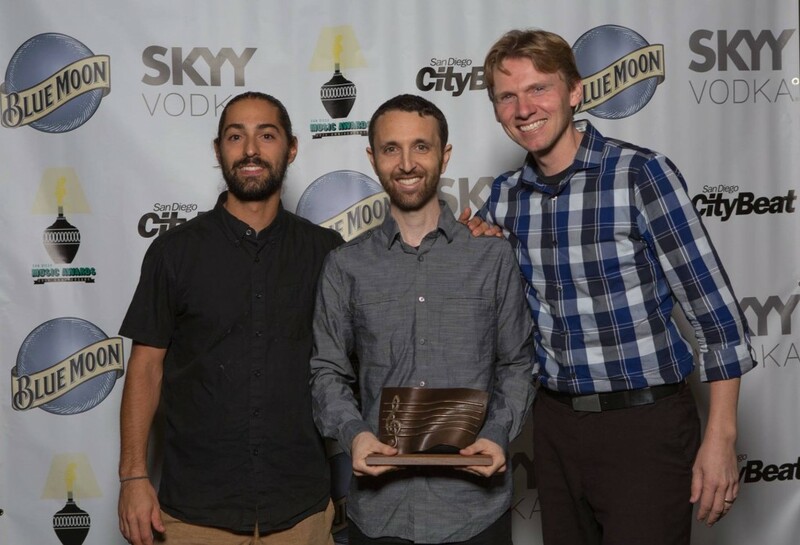 The Danny Green Trio’s release After The Calm picked up the win for Best Jazz Album at the 2015 San Diego Music Awards and was nominated Album of the Year. Recorded by Peter Sprague at Spragueland and released in November 2014 on OA2 Records, After The Calm received much praise from the press and nationwide radio play. JazzWax described the album as “A highly impressive album that will knock you out,” and the San Diego Troubadour called it, “Unconditionally recommended to anyone who appreciates good jazz, instrumental music or soundtracks.” The opening track of the album was featured in the Jazziz Spring 2015 quarterly CD compilation. To purchase the album, click here. Look out in March 2016 for the trio’s next release entitled “Altered Narratives.” Recorded at New York City’s famed Sear Sound under award-winning producer Matt Pierson, the album showcases eleven of Green’s latest compositions, three of which feature string quartet joining the trio.